1.It is the perfect accessory to light up a costume. The handle is antique brass and the blade is a transparent blue plastic. 2.With the push of a button, the sword is activated and make a sound,the blade will light up blue,while the ball in the handle will be spinning. 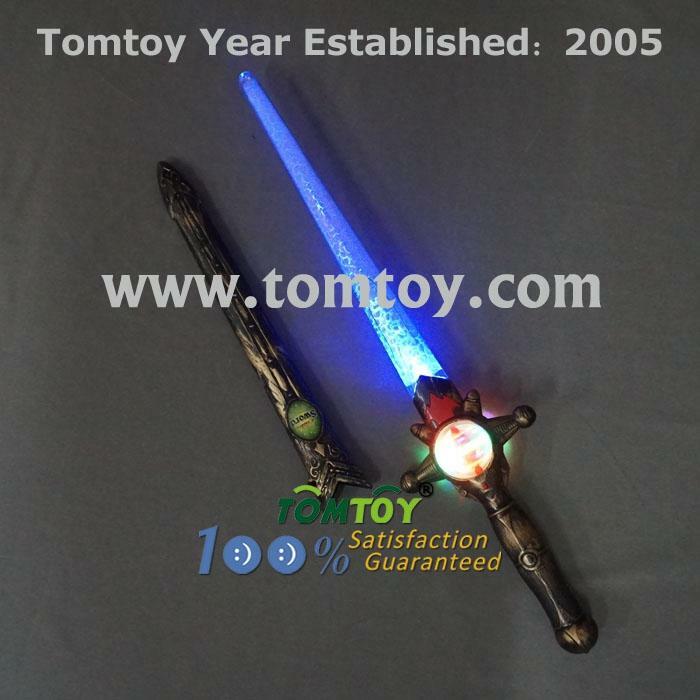 3.Instructions: Remove the plastic pull tab from the LED sword, then press the button located on the handle. Pressing once will activate the LEDs and pressing twice will turn off the LEDs.